We know that no one deserves a break more than mom, and although the occasional mother’s day gift card to the spa can get used if you have the time, don’t you deserve something a little more regular? With the day in and day out of hectic family life, cooking, cleaning and even a job, it would be a miracle to find the time to get a pedicure for once. 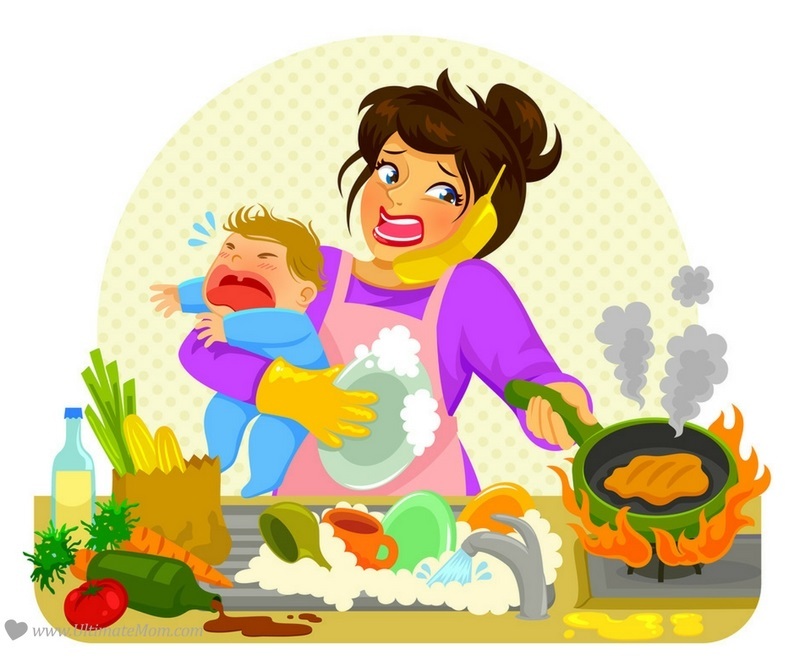 We understand, it’s been said that moms are lucky to get more than seven minutes of time for themselves every day and that’s not much! Those seven minutes of reprieve should be spent in the most efficient way possible, at which as a mom, you’re already an expert. Especially in the off-seasons, when you’re more prone to go stir crazy, without some form of quick-fix stress release, you might go a little stir crazy without the helpful release of self-care. The normal routine starts to feel like Groundhog Day unless you break up your day and change up your routine. With the flexibility that you have, make it fun and interesting but most of all: relaxing. So we’ve done part of the job for you and put together a list of short-term pampering ideas for those short moments of self-care that you so desperately need. From eye care to face masks to back massages to aromatherapy, we can take those brief gaps in child-rearing and turn them into the building blocks for a new and very pampered you! 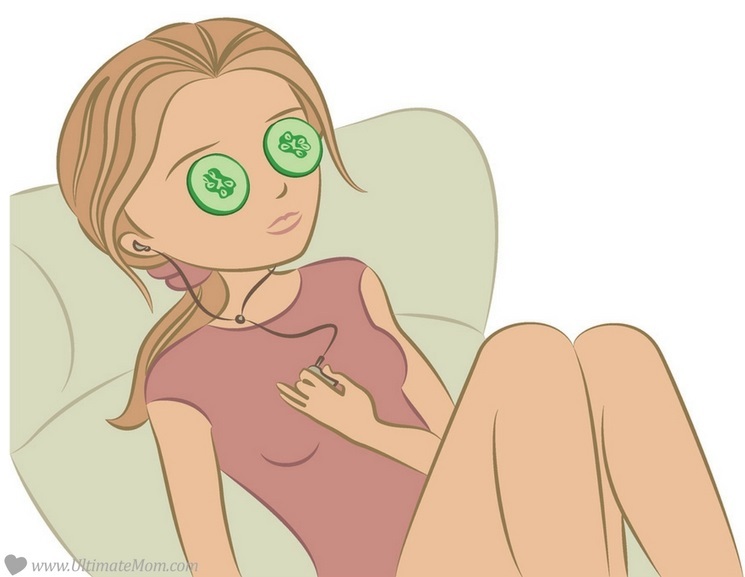 Aromatherapy eye masks: After a full day of constant vigilance looking after kids and the messes they get into, the best thing that you can do for yourself is let your eyes rest for a few minutes each day. An easy DIY project that you can probably make with a few things from around the house is an aromatherapy eye mask. Just grab a couple scraps of fabric, which, if you’re like us, you have in piles in your craft closet for moments just like these. Make a little pouch in the shape of your eyes, sew an elastic to keep it on your head while you rest, fill it with rice that you’ve mixed with relaxing aromatherapy oils like lavender. Pop it on when you have the time and give those peepers some well-deserved rest! Find the visual how-to at Living Chic. Headache-relieving Frozen Face Towels: Want the de-stressing power of aromatherapy but worried about leaving a mask over your eyes for an extended period of time? We understand, it’s important to be aware of your surroundings as best as you can, at all times. Instead of an eye mask, take you interlude with a frozen napkin that’s been scented with essential oils that alleviate headaches or sinus pain, like peppermint or eucalyptus oil. Just keep two or three very lightly damp washcloths in the freezer so that you can just grab one when you find the time to briefly lie down in comfort. You may want to toss those in a freezer bag before you park them in your freezer. Check out this and other cool remedies from The Homestead Survival. Aromatherapy Diffusers: Sometimes the things that make experiences so great are the things we notice the least. Take spas, for example, so much of the relaxing experience is rooted in the calming, soothing smells that the spa specifically concocts to deliver the utmost in a relaxing experience. Giving your environment a luxurious scent is easier than you think, just check out this great diffuser that plugs directly into your laptop, so while you’re surfing around on Facebook or reading Ultimate Mom, you can multitask and relax at the same time! We suggest a blend of eucalyptus, chamomile and rosemary to destress while you’re surfing the web. Infuse Your Water: Another element of the spa that takes very little time to bring home, but makes all of the difference in the world is the simple act of infusing your water. This trick works best with ice-cold water, and freshens up the water that you need to hydrate. Using aromatic ingredients like fresh mint, basil or lemons, even just preparing the water can be a comforting, sensory experience. Taking pause in moments of stress, or during those seven sacred minutes of your day, take a nice sip of infused water to pamper yourself in even just the slightest way. Take a minute to look around for infusion recipes that match your favorite flavor profile. We suggest blueberries and mint to lift your spirits or cucumber and basil to calm you down. A dash of lavender spirit or rose water can bring an extra layer of aroma to your water, but remember to keep it simple and the flavor profiles complimentary. Hair Masks: Sometimes your hair needs a little pick me up and your scalp needs a massage, but most of the expensive store-bought hair remedies require at least a half an hour for the mixture to set, so the seven minutes that you have doesn’t quite fall under that umbrella. No worries, there is a cost-effective hair mask available and it’s probably in your own home right now! This may sound a little funny, but hear us out, a mashed banana and avocado hair mask. The potassium from bananas fortifies hair follicles and repairs damaged cuticle while the avocado adds a natural, light shine. Simply mash or blend the two ingredients together, and massage into the scalp. We suggest taking a little longer to make sure that your roots and scalp gets a little extra TLC. Just leave the mask on for your seven minutes before you hop in the shower for your normal hair care routine! Cucumber Eye Gel: Nothing says “spa day” quite like a cool cucumber. Crisp, healthy, clean and refreshing, it’s a versatile vegetable that both tastes good and does the skin a world of good. Certainly, you’ve seen those classic moments in movies and television where two women are at a spa and one decided to eat the cucumber slice that’s been covering her eyes. While it’s often a mocked cliché, it’s actually a depiction of one of the cucumber’s greatest benefits, reducing puffiness around tired eyes. So we thought it was just perfect when we discovered this cucumber eye gel that you can apply to your eyelids and under-eyes. And it’s simple–again, you probably have the ingredients in your refrigerator right now! It’s just aloe vera gel and chopped up cucumber (don’t forget to peel!) that you toss into a blender and emulsify. This gel smells so good; you’ll want to use it every day, which is great because it can last for up to six weeks as long as it is kept in the refrigerator. Check out the Dabblist for details! Guided Yoga and Meditation Videos: One of the most relaxing feelings in the world is that moment at the end of a yoga class where you’ve pushed your body to limits that you didn’t even know were possible, and then you get to lie down and meditate in corpse pose while you listen to the soothing recording of a gong. Peaceful meditation, yoga and mindfulness are all amazing ways to relax, but seven minutes of yoga or meditation is hard to throw together by yourself. Luckily, YouTube is here to help! One of our favorite video yoga channels, Yoga With Adriene, has a series of small “five-minute yoga” classes for everything from relaxation to body awareness. She has a tendency to talk a little longer than five minutes, so they usually work out to being around seven, perfect for your seven-minute spa routine for a day! Check out her guided videos and her full instruction classes on YouTube at Yoga With Adriene. Lavender Foot Scrub: Feet get neglected, it’s true. Especially in the winter months when the moments are rare that they’re uncovered by socks, but they’re definitely still useful to have around, and so you should take care of them during your seven-minute spa moments. There’s nothing quite like a relaxing foot massage, even–when the time calls for it–one that you give to yourself. For the time crunched mom-on-the-go, foot peels and pedicures are time consuming, so combining skin care and a foot massage is a time saver. That’s where the foot scrub comes in: the sea salt takes care of the dry skin that comes with wintertime and woolen socks while the olive and essential oils repair and moisturize. Just sit on the edge of your bathtub and scrub away, but be sure to take care of specific points of pressure in your muscles and let the scrub work its magic on your calluses. Check out this aromatherapy lavender foot scrub recipe from Frugal Granola for the recipe and ratios, but don’t be afraid to try other relaxing essential oils that you might like better like eucalyptus or peppermint. DIY Back Massages: Back massages are downright impossible to give to yourself, but if we’re compiling a list of quick fixes for spa treatments that you can do in your home, we can’t leave this list without a guide on working out those knots. While of course, there is a time and place for child shiatsu–having your kid walk on your back is sometimes the closest you can get–we’re recommending things that you can do by yourself in your seven minutes of quiet alone time. Most of these recommendations were also intended to be things that you can do or make yourself or inexpensively with all natural products. However, we must preach the word of the foam back roller, which can be found on Amazon or at Target for around $30. The textured roller with rounded foam bumps is the perfect way to roll the knots out of your back in the comfort of your own home, and after repeated use can really loosen you up! The investment is highly suggested, specifically by your future self after your stress levels and back pain saw a substantial and sudden decrease. If you try to do a little something for yourself in the moments of privacy that you have, after just two months of seven minutes per day of spa-oriented self-care, you’ll be thanking yourself for all of the you-time that you have carefully spent. And cumulatively, by the time winter has passed, you’ll have practically spent an entire full day at the spa! Finding new and fun little ways to take care of yourself with the valuable time that you have to yourself doesn’t mean that you have to find a routine, it means trying new things and taking good care of yourself!